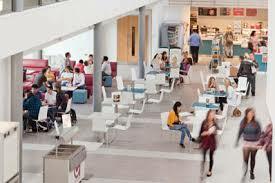 Whether you are looking for undergraduate or postgraduate study, Cardiff Metropolitan University is an excellent choice for international students choosing to study in the UK. Cardiff Metropolitan is home to approximately 11,000 students, with over 1200 international students from more than 143 countries. Our international students are valued and respected for the unique experiences and perspectives that they contribute to university life, enriching the study experience for all students.